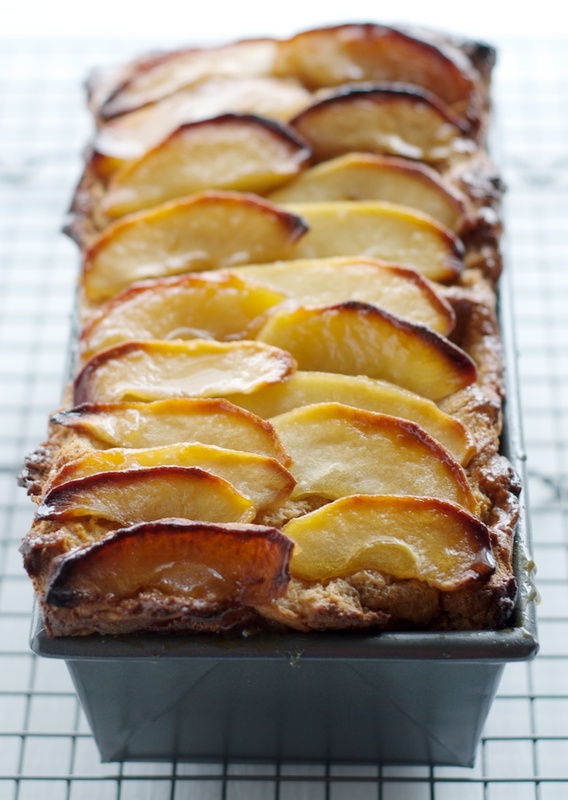 I'm feeling the autumn vibe these days here in Portland so I thought to try out this Apple and Maple Bread Pudding recipe. I'm starting to realize that it's really hard to mess up bread pudding. This stuff just warms your belly and is incredibly satisfying. If you remember last winter I first tried my hand at a Bread Pudding with Bourbon Sauce recipe that turned out fabulous and this one is equally good. This recipe uses a lot of maple syrup, brown sugar and heavy cream. And yes, it's rich, and yes, it's amazing. The directions for this recipe are a slightly different than the last one I made concerning the bread, the other recipe said to put toasted slices in the pan and let soak in the custard for 10 minutes, this recipe says to cut 1" cubes and allow to soak for 1 hour in a separate bowl, which I did, and I think it works a bit better as far as getting all the bread soaked. I used Brioche for this recipe rather than "pain rustique" recommended in the original recipe, but what I'm seeing from various recipes is that you could use almost any good bread for these puddings. If you're going to serve with whip cream you might want to skip any additional sugar, this pudding is sufficiently sweet and the unsweetened cream balances well. Photo notes: I used all natural light and my trusty 50mm lens! Recipe below and wishing all of you a wonderful and cozy autumn! 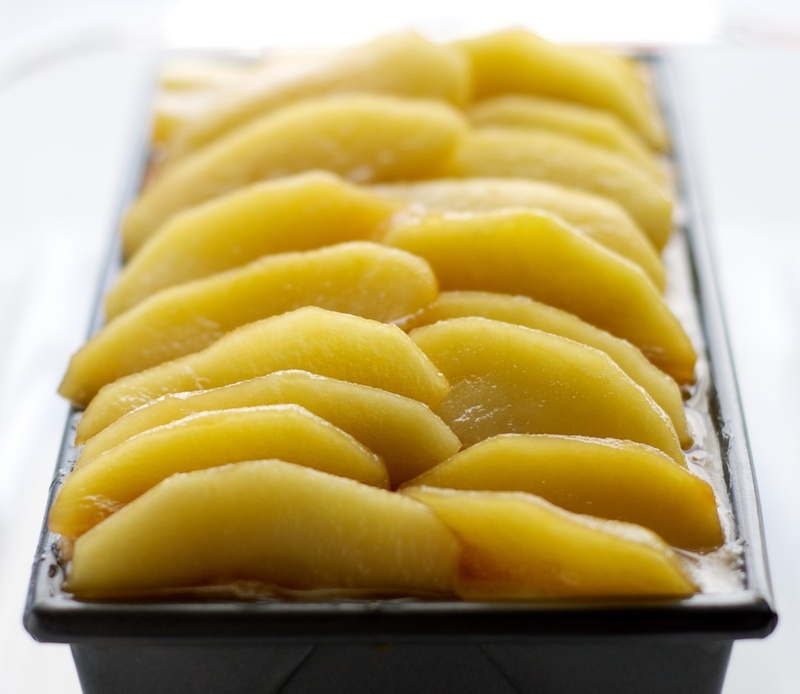 Mix half of apple slices into bread-custard mixture. Transfer bread pudding mixture to prepared pan. 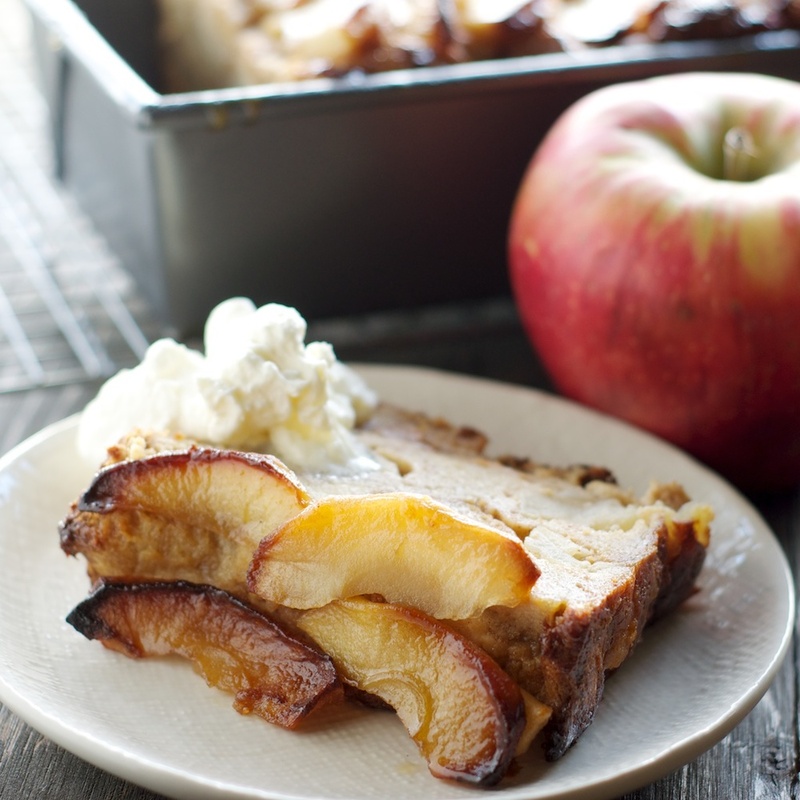 Arrange remaining apple slices atop bread pudding in 2 lengthwise rows. 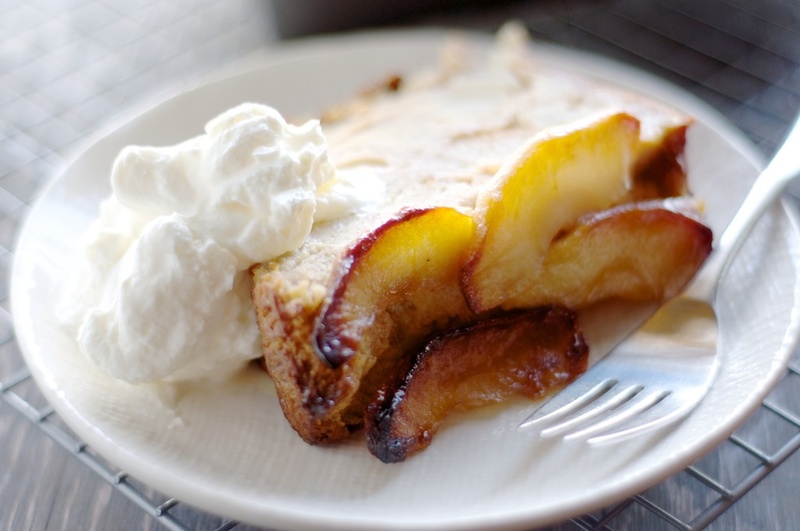 Spoon any remaining syrup from skillet over apple slices. Place loaf pan on rimmed baking sheet (to catch any spills during baking).